Well my usual digging partner is in upstate NY for the week visiting family I met up with My friend Tom and his digging partner Phil. They had a large sink in a parking lot in the Jonestown section of the city this area was founded in 1730 so its old however they wasn't much development until the 1770s. So we had hopes of an early hole full of pontiled bottles and beautiful ceramics. 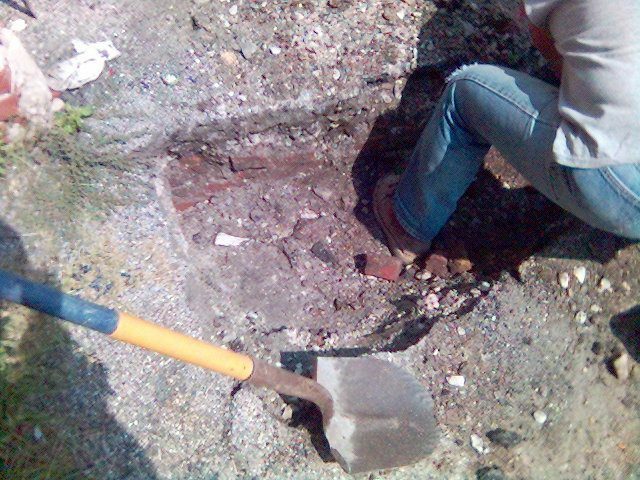 We met up about noon and popped open the corner of the sink and found the brick wall right under the asphalt. Cool lets open her up the rest of the way. 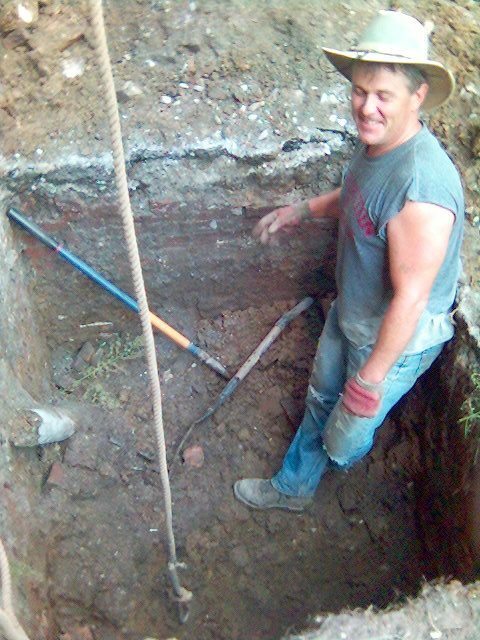 this hole turned out to be a rectangular brickliner that was about 6' wide and 8' long. It was also filled in with sticky clay we started taking it down then decided to do a test down one corner to see if we could get to the trash layer and see if there was one and what age it was. We hit the trash layer at about 6 feet and it was loaded with glass just not of the age we hoped it was 1900 era glass. 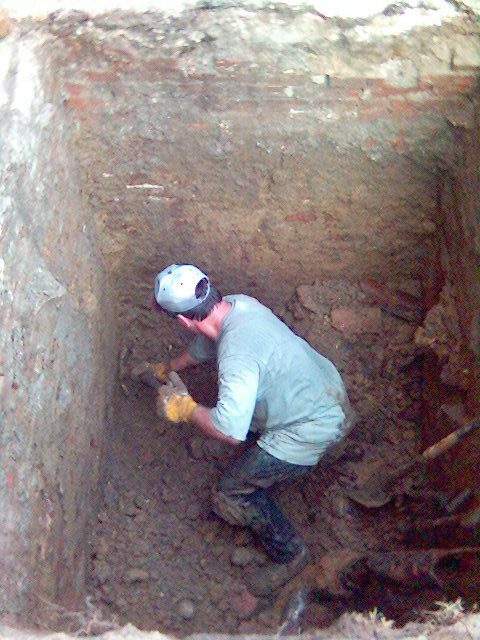 For a lack of nothing better to dig and all the effort already invested we decided to go ahead and finish this pit. it ended up about 8 feet deep and we got a couple buckets of bottles mostly crown top beers but there were a few blobs in the bottom and we got a nice quart embossed Baltimore strap flask I can't remember the name on it and a rare early blown milk from Baltimore. Not the best hole in the world but it was something to dig. and a good time was had by all.